Credit card issuers offer cash advances a way to get cash from your available credit. Even though it sounds like a convenient way to get access to cash, taking out a cash advance on your credit card is risky, expensive, and carries the potential for debt if you don't quickly repay the advance amount. 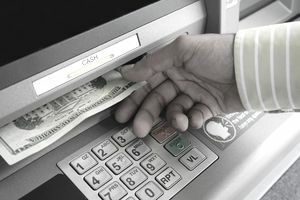 Knowing that before you swipe your credit card at the ATM may help you make better decisions about the way you use a credit card cash advance - if you use one at all. Cash advances comes with a cash advance fee that's typically around 5% of the advance with a minimum of $10. Not only that, cash advances have higher interest rates than regular purchases and even balance transfers. Most credit cards don't provide a grace period for cash advances meaning interest starts accruing as soon as you take the cash from the ATM. And don't forget about the ATM fee the bank charges you if you're not using a credit card within that bank's network. Those four costs can make cash advances extremely expensive, but still less expensive than some alternatives, like payday loans. Managing cash advances fees is key. While credit card cash advances are generally a bad idea, there may be a time that you need access to cash and have no better options. If you must take a cash advance on your credit card, follow these tips to lower the cost and risk of getting into debt. Read your credit card agreement to understand the terms and fees. You need to know the one-time cash advance fee you'll pay and the APR that will be applied to your cash advance balance. If you don't understand something, call a customer service representative and ask. Use a cash advance for true emergencies that you can't pay for with your credit card. Avoid taking out a cash advance to pay for ordinary everyday items like groceries and gas. Make a goal to build an emergency fund so you don't have to rely on a cash advance in the future. Know your cash advance limit; it's probably less than your credit limit. You can check your limit on your online credit card account or by calling the automated customer service number on the back of your credit card. Exceeding your cash advance limit can result in over the limit charges and higher interest rates. Take out only what you need, nothing more. Avoid the temptation to withdraw just a little more so you have some extra money. That little extra will only make it harder to repay the advance. But, try to take out just one cash advance large enough to cover your expense to avoid another cash advance and ATM fee. Use a credit card with a zero balance. If you have multiple types of balances on a credit card - purchases, cash advance, balance transfer - any payment above the minimum goes to the higher rate balance. Meanwhile, the other balance, e.g. purchases, doesn't decline and instead accumulates interest. This makes it harder to repay the cash advance balance. Avoid purchases until the cash advance is repaid, for the same reason discussed above. You should also avoid making credit card purchases until you can afford a credit card balance. The need for quick cash is often a symptom of a larger money management problem, like overspending or the absence of an emergency fund. In cases like these, repaying a cash advance could take a long time and cost a lot of money. Before you decide to take out a cash advance, take a look at some alternatives. Because of the expense, you want to avoid the need to take out a cash advance. Start by building an emergency fund. Contribute as much as you can toward savings until you've built a sizable emergency fund. Adjust your spending habits to eliminate debt and get your finances back on track. Finally, minimize your credit card debt by charging only what you can afford. What Happens When You Use a Credit Card to Purchase Cryptocurrency? Why You Want to Be a Credit Card "Deadbeat"